Tomorrow, Rodney and I are celebrating the 11 year anniversary of the day we met. Eleven years! That is 1/3 of my life! We lived in different states for the first four years of our relationship, so cards and letters by snail mail helped keep our long-distance love going. 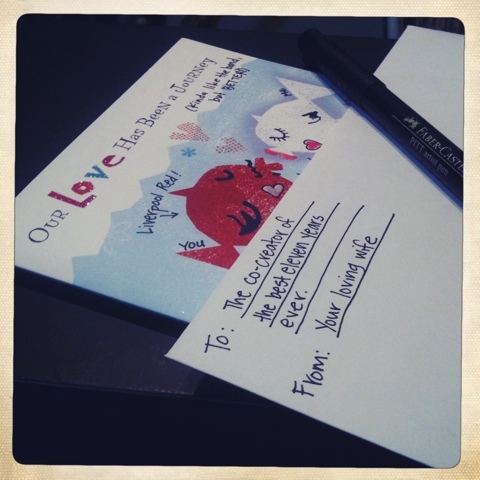 I miss those days of pouring our hearts into the words and making each other laugh with silly cards. After my greeting card graffiti, I dug out my sketchbook and we had a staring contest. I think I feel some doodles coming on.